Picking up from the CDX.NA.IG indices are composed of 125 North American corporate credits that are investment grade when the index begins trading understanding JP Morgan loss.Taking a position in the index allows traders to hedge or speculate. Going long means selling protection on the index in the expectation that the underlying company credits improve or at least do not default. Going short means buying protection on the index. The net notional value of the CDX.NA.IG.9 has surged from about $90bn at the start of the year to $150bn in April – indicating a big jump in trading. 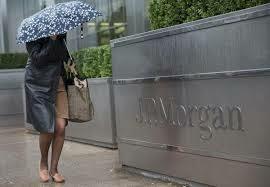 As derivative’s are zero sum game so if JP Morgan lost $2 billion from April 2012, than who made a $2 billion profit in the same time, well I don’t know.May be some unidentified hedge funds apparently. It was like once the sharks smelled blood in the water, they started betting against the whale, making his losses much bigger. The huge size that traders were complaining about when it was pushing the market around became a liability. In recent weeks, hedge funds and other investors have been puzzled by unusual movements in some credit markets, and have been buzzing about the identity of a deep-pocketed trader dubbed “the London whale.” That trader, according to people familiar with the matter, is a low-profile, French-born J.P. Morgan Chase & Co. employee named Bruno Michel Iksil. Mr. Iksil has taken large positions for the bank in insurance-like products called credit-default swaps. Lately, partly in reaction to market movements possibly resulting from Mr. Iksil’s trades, some hedge funds and others have made heavy opposing bets, according to people close to the matter… However, Mr. Iksil has turned more upbeat recently. He has been selling protection on an index of 125 companies in the form of credit-default swaps. That essentially means he is betting on the improving credit of those companies, which he does through the index—CDX IG 9—tracking these companies. The above explains that JPM’s CIO group has huge positions in CDX series 9. The sum total in this derivative alone was more than $150 billion.